Last year I had a chance to test and review the ioSafe 1513+ storage unit, which I found to be an amazing device that not only provides data protection against fire, flood and other potential disasters, but also does it with superb performance, thanks to the Synology DSM architecture. With its relatively steep price, hefty size and heavy weight, the ioSafe 1513+ might not be an ideal choice for everyday backup needs though. For smaller environments with lower storage and performance needs, ioSafe also offers a much more budget-friendly option, the ioSafe 214. I have been using the ioSafe 214 for the past 4 months for my personal and business needs and I decided to review the unit and share it with our readers, based on my overall experience so far. If you have never heard of ioSafe before, here is a quick overview. Basically, ioSafe specializes on manufacturing disaster protected hard drives and network attached storage appliances. The main idea is to provide protected storage that is designed to withstand natural disasters such as floods, fire, earthquakes, tornadoes, hurricanes, etc. without compromising on performance. While there are other companies on the market that provide disaster protected storage, most of them just focus on keeping data safe, which often results in poor storage performance. Instead of reinventing the wheel, ioSafe partnered up with Synology, one of the leaders in manufacturing fast storage solutions for individual and business needs, to provide the storage architecture for its products. This allowed the company to concentrate on carefully crafting disaster protected enclosures without having to worry about the storage architecture. Thanks to this decision, the company was able to create the “best of two worlds” products that provide industry-leading data protection with uncompromising performance. Although the ioSafe 214 cannot match the performance of its big brother, the ioSafe 1513+, it is no slouch either – you can squeeze over 110 MB of read and 100 MB of write speeds from regular spinning hard drives, which is pretty impressive for a dual hard drive unit. Speaking of which, with the latest firmware update, you can use hard drives up to 6 TB each, providing up to 12 TB of total storage in RAID 0 (stripe) configuration, which is probably far more than what most people need today. Similar to the Synology DS214, the ioSafe 214 also features one USB 2.0 and two USB 3.0 ports to connect other devices. 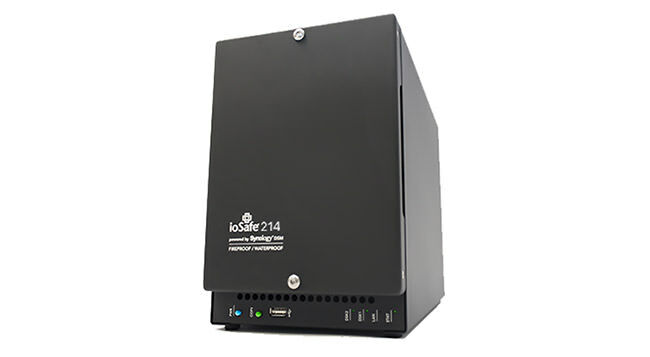 Since ioSafe 214 is a network attached storage, you will need to either connect it to a network switch or use an Ethernet cable (Cat-5e or faster) to directly connect it to your PC (no need for a cross-over cable, a regular cable will also work). If you have multiple computers in your network and you want to be able to access the ioSafe 214 from all machines, I would recommend to use a Gigabit switch. I have a cheap 5 port NetGear Gigabit switch and it works great to interconnect my internet modem, two computers and the ioSafe 214. There is a single Gigabit Ethernet port available on the ioSafe 214 to connect. 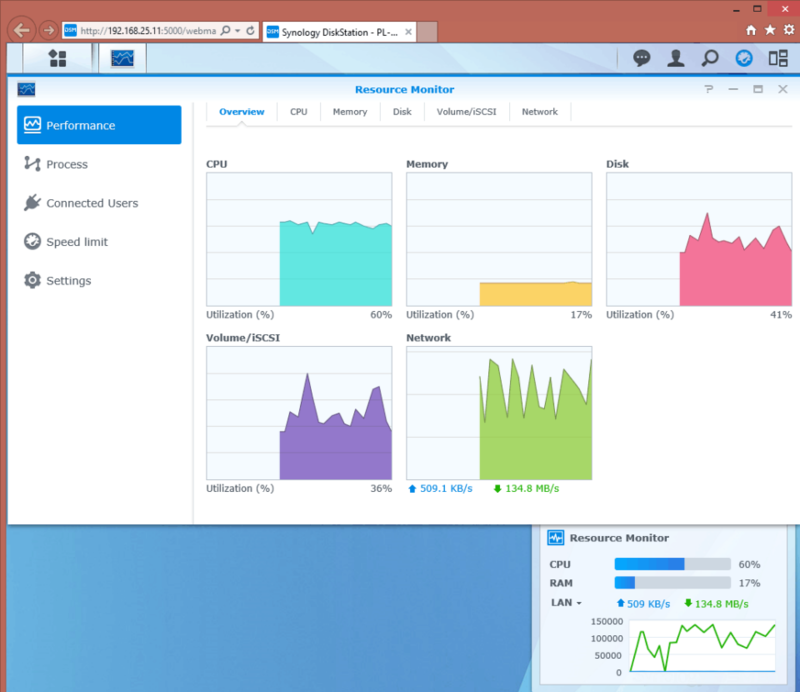 If you have multiple computers that need to be connected to a single storage library, the Synology platform provides rich features and capabilities for sharing data. You can use a number of different protocols to connect to the device including NFS, CIFS and iSCSI. 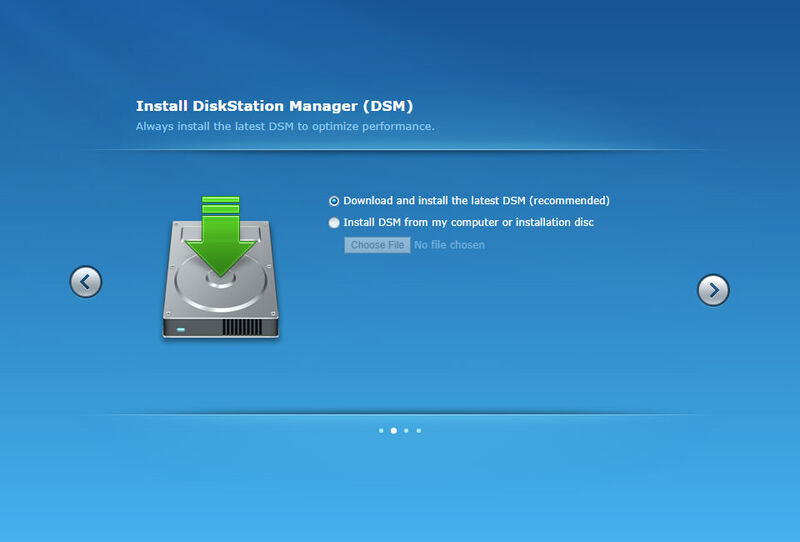 If you have previously worked with Synology DSM, you are probably already aware of the many different applications and add-on packages that are available for the platform. Those add-ons and apps allow you to set up all kinds of things, from simple backup solutions to VPN and Web servers. 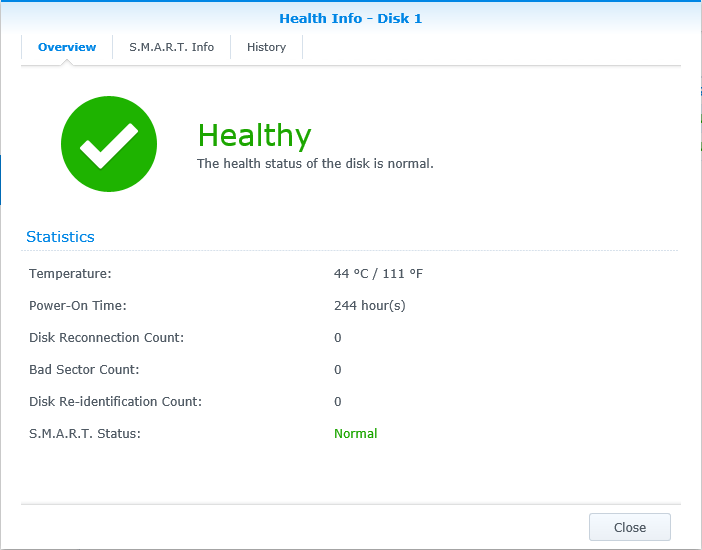 In short, Synology DSM is a very flexible, scalable and robust platform that ioSafe 214 is based on. Mounting and installing hard drives is a breeze. 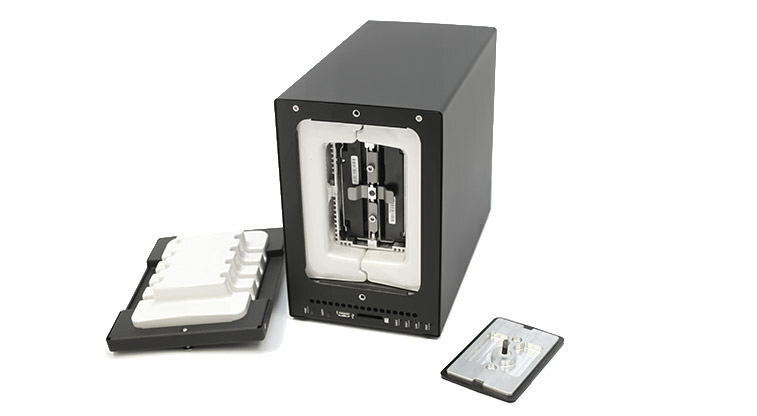 Just use the provided screws and once you mount the hard drives, the compartment slides in and connects with the back-end. 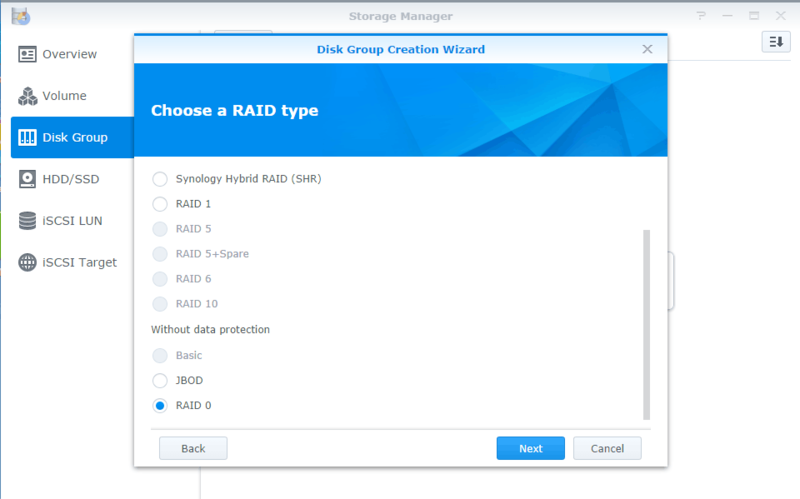 With Synology DSM, you can configure the two drives to be used either in RAID 0 (stripe) or RAID 1 (mirror) configuration. Since my unit is used for secondary backup purposes only, I wanted to get as much capacity as possible, so I went for RAID 0 configuration. When choosing hard drives, ioSafe highly recommends to use hard drives from their approved list of hard drives. This is due to the fact that the approved drives have been thoroughly tested by ioSafe engineers, to make sure that they do not generate too much heat, have reliability concerns or fail within a short period of time. Unfortunately, I found the list to be a bit limiting when it came to available choices and prices, so I went ahead and ordered a couple of inexpensive NGST 4TB NAS drives. My primary reasons for choosing these drives were capacity, price and speed. With two 4 TB drives, my total capacity would be 8 TB in RAID 0 configuration, which was enough to cover my photo archive. Similar 6 TB drives were almost twice more expensive in comparison and did not give the same dollar per gigabyte value. And speed was also important – many desktop and NAS-specific drives are limited to slow rotational speeds, which drastically reduces their performance. These NGST drives are 7200 RPM and they are graded for prolonged NAS use, so they seemed like a good choice to me. Any heath issues or temperatures nearing 60 degrees Celsius should serve as a red flag. And if you want to see how this particular model, the ioSafe 214 can handle abuse, here is another video you might enjoy. Now that we have this out of the way, let’s check out how to actually set up the unit. Once hard drives are installed and the cables are connected, you can turn on the unit with the button on the front bottom part of ioSafe 214. The device will go through its boot sequence and once it is up and running, you will hear an audible beep. Hard drives will power up and you will see the green LED lights blink. When the “STAT” light becomes green, the unit is fully powered up and is ready to be used. To make sure that the drives are both in good working condition, I fired up disk check at the end of the installation. It took a long time to check both disks, but it was worth the wait. Sometimes hard drives come with problems from factory, so before you put your data on them, it is always a good idea to do a full initialization with sector by sector check in the beginning. As always, it is a good idea to update to the latest firmware, so after the hard drives were checked, I visited the Control Panel, clicked on “Update & Restore” and started the process of upgrading to the latest version. Updating did not take very long and the device rebooted during the process. 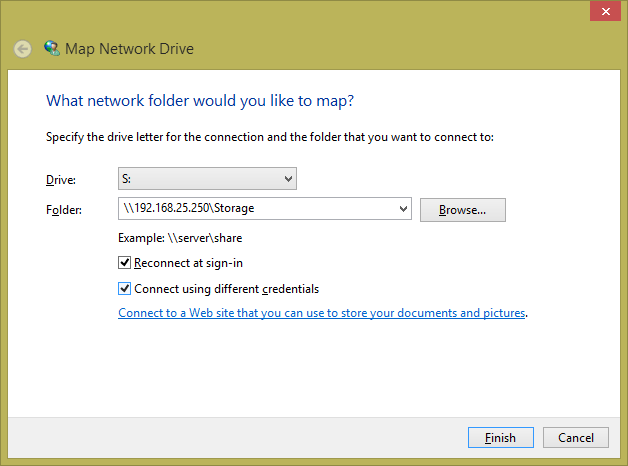 Although I used S: drive and mapped using the IP address, you could use any drive volume you want and you can map the device using its name instead of IP address. From there, I was all set to conduct performance tests to see what kind of throughput I could expect from the unit. In comparison, the ioSafe 1513+ was averaging around 110 MB/sec, but keep in mind that the speed on the ioSafe 1513+ was capped by the speed of Gigabit Ethernet. If I had connected it with aggregated links, I would have gotten much faster speeds. With the ioSafe 214, you are limited to the speed of a single Gigabit Ethernet port. But the good news here is that the ioSafe 214 is practically utilizing the Ethernet port to 100%, so its performance is really good. I ran several more read and write performance tests afterwards. Write speeds were constantly high, but the read speeds took a hit a little, averaging between 75 to 85 MB/sec. Considering that I use the ioSafe 214 for backup purposes only, the write / backup speed is more important for me anyway. In summary, given that this is a two drive unit, the performance of the ioSafe 214 is very impressive. Once again, ioSafe shows a solid line of products, with the 214 model being a superb option for smaller, less demanding and more budget-conscious environments compared to the ioSafe 1513+ unit. During the past 4 months of use, the ioSafe 214 proved to be a reliable, stable and robust system that I now use as a secondary backup unit to store my photographs, Lightroom catalogs and other data. Unlike the 1513+ model that I tested earlier, the 214 is practically silent even during heavy use, which is nice, because that’s one thing that bugged me on the 1513+. It now sits right next to my computer, takes little space and stays on 24/7. Although I currently only use the ioSafe 214 as a backup device, I know that I have a lot more features and functionality to explore with the “Package Center”, where I can install all kinds of apps for uploading files to the cloud, running a media / iTunes server, mail server, PBX and much more. 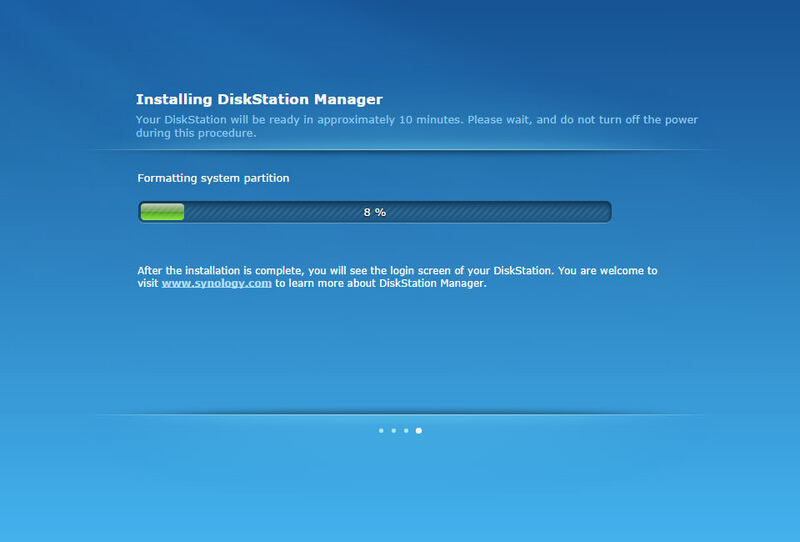 Thanks to the amazing Synology DSM architecture, it is much more than just a simple storage device. Overall, the ioSafe 214 proved to be a superb backup solution. Whether you are a photo enthusiast or a working professional, you should take a serious look at this device. Considering what it can do to save your data alone, its cost is negligible. Once you factor in the Synology DSM architecture with its frequent performance and security updates, superb performance and reliability, the ioSafe 214 becomes a “no-brainer”. Our trusted partner B&H Photo Video usually has the ioSafe 214 in stock for around $550 without any hard drives. As specified above, you will have to do your own shopping to find what hard drives suit your needs the best. So far I am pretty happy with my choice of HGST 4 TB NAS drives, but I am sure things will change in a few years when 6-8 TB drives will get significantly cheaper, or perhaps SSD drives will have much bigger capacities to make the switch to more reliable storage. I’m a little confused why you would set this up as a backup solution in raid 0 and 7200 rpm drives. Presumably, as a backup, speed is not paramount. And if you lose one drive, you lose both. You’d be better off using jbod’s. In general, I’m also concerned about NAS enclosures because what happens to your data when a component within the enclosure fails, especially if the drives are raided? What do you use to recover your data? He mentioned that he wanted to maximize capacity and that he is also using it as a secondary backup unit. I do agree that transferring a significant amount of data back to the NAS after replacing a failed drive in RAID-0 would take a long time. An important fact that people tend to miss is that RAID is not a backup and that ideally you want copies of your data/images stored on multiple storage systems. Fully agreed Dan, RAID is not a backup! Data should always be replicated in multiple locations, preferably with one being offsite. I have the iosafe solo g3 as my external drive back-up, and I back that up with a cloud based service. I’ve been really happy with the iosafe drive. Since installing it over a year ago I’ve slept soundly. I just thought I’d ask you are you running a RAID0 or a RAID1 solution on your Iosafe? I thought I’d add that RAID0 is becoming a more and more popular backup solultion. It is – just that – if the backup fails, you recreate a crashed backup, if the main system crashes you have it backed up on your RAID0. I have been backing up my home server and Win 10 system (at the time Win 7) for the last 3 years on a RAID0 box. The ioSafe 214 seems to be discontinued, at least with B&H. Odd given how recent this article was posted. Mark, I published this review in 2015, but it was updated with more accurate information recently. You are right, the 214 has been discontinued – it has been replaced by the ioSafe 218.